The controversy was real: “There’s no such thing as an African American couple, married, intact, lawyer and doctor with five children, living in a Brownstone in Brooklyn; and seemingly faultless”! Suffice it to say, television doubted The Cosby Show; African Americans were skeptical. It was 1984. Though generations of African Americans before 1984 lived in abundance and achievement in this country, as great as the Cosby Show was some veritable truths were omitted; especially where their only son Theo Huxtable was concerned. For an 8 year run, Theo Huxtable grew into a sound young man: struggled with dyslexia, girls, and the typical developmentals of a growing teenage boy. He moved along with grace and ease, graduating from NYU. You know what, that’s great. Essentially, even with the naysayers of the day, all African American males don’t see hard times, underachieve or become part of the prison industrial complex. The ongoing message was work hard, go to college, and everything will come to pass. Even the episode that noted Theo’s grandparents and parents attendance at the March on Washington in 1963 portrayed as a past that advanced the future where Theo would not have to worry about driving while Black, walking while Black, being in the neighborhood…while Black. Ironically that wasn’t true for Bill Cosby’s biological son, Ennis who was killed while Black. The son of privilege and education, the Morehouse Man was not exempt from danger. 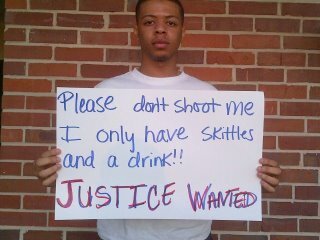 This was sadly the fate met by Trayvon Martin who lived in a gated community. Gated communities are often associated with having “made it”. Yet a zealous “community watchman” did more than call the police, he killed this young man without a hitch…and has yet to be arrested. So how Theo Huxtable went 8 years without one racist incident is interesting. Even the show Family Matters (The Winslows, Urkel, etc.) where the head of the house was a police officer, had the gumption to deal with racist behavior toward his oldest son by a White police officer. Uncertain what the Cosby Show was trying to accomplish by avoiding that topic. But I’ll tell you this, all the achievement and financial abundance in the world does not a Black Man protect. Unconvinced?! …ask President Obama.